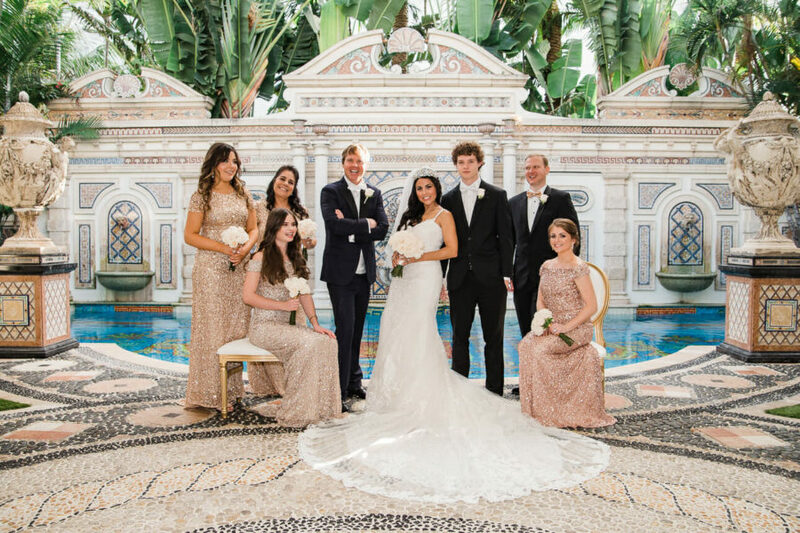 Another grand Vizcaya Wedding at one of my favorite venues as a Miami Wedding Photographer. 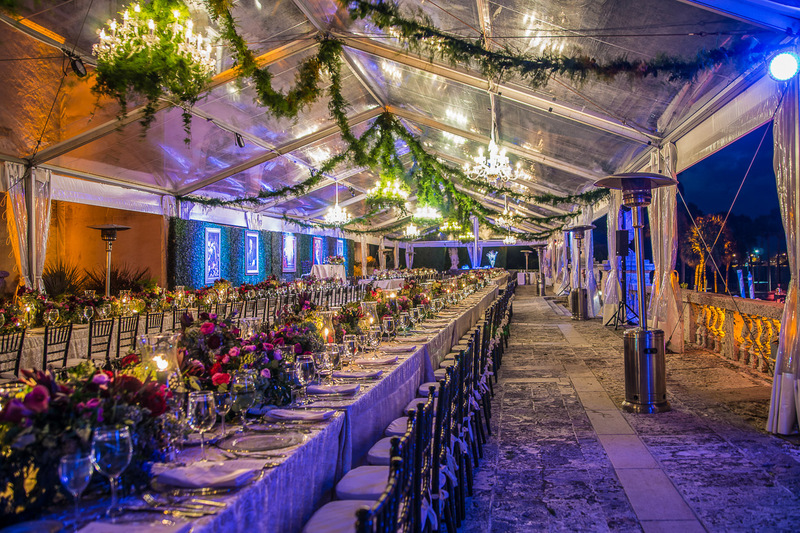 February is indeed one of the best months of the year for the wedding in Miami. Lara and Richard made a great decision. 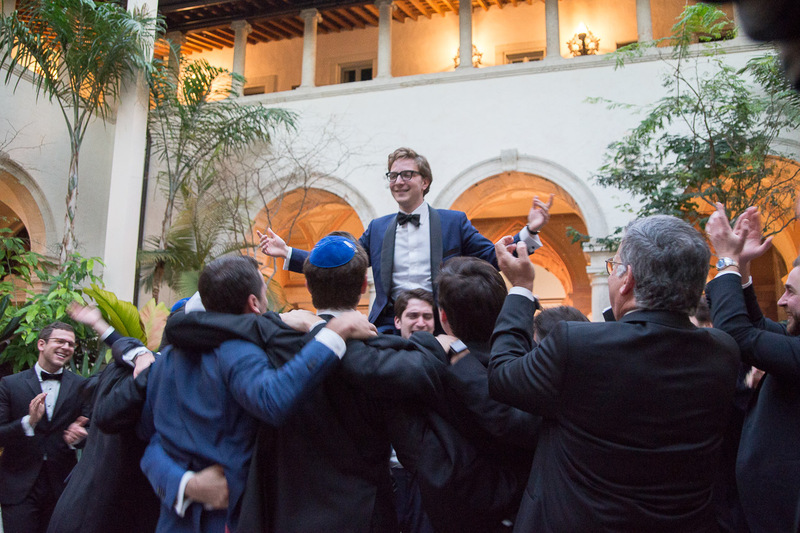 Their modern Jewish wedding at marvelous Vizcaya was fabulous with incredible vendors. 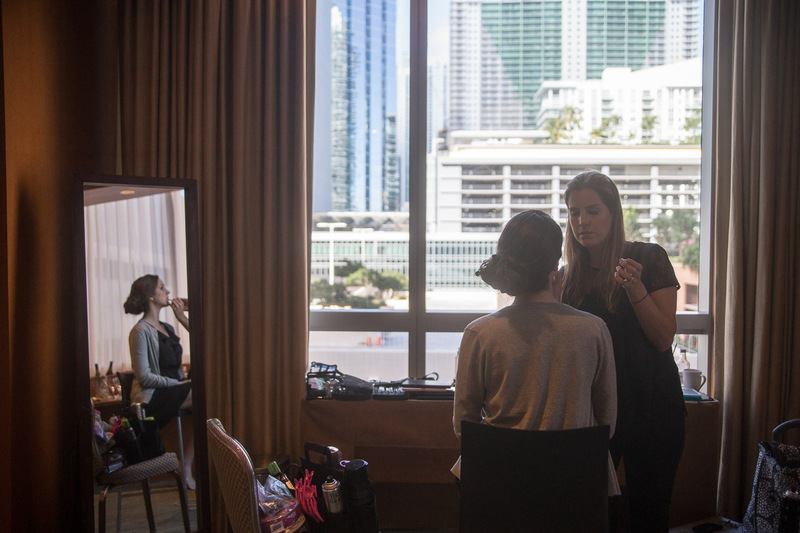 We have started at the Four Seasons Hotel in Brickel, Miami with getting ready, makeup and hair. This hotel is a dream. 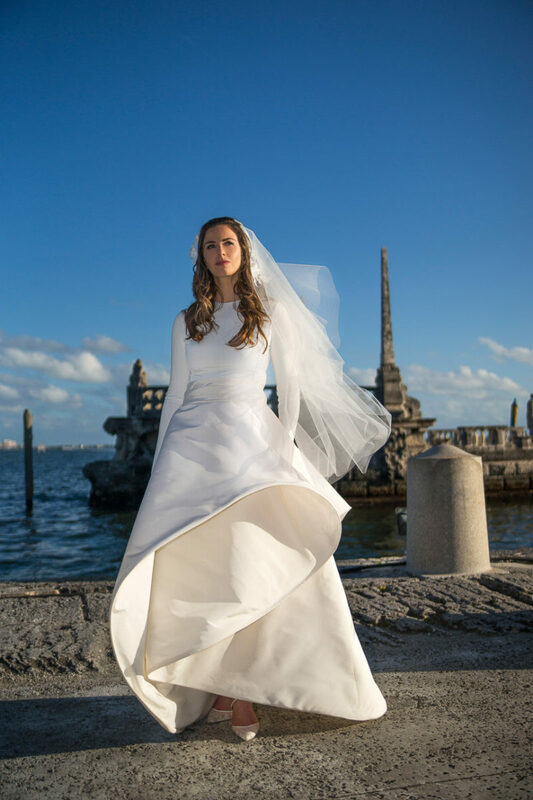 Later on, we have moved to Vizcaya where we also did bridal portraits. Lara was wearing an impressive wedding gown as you can see in my pictures, but I was not able to find out who was the designer. Sorry about that. 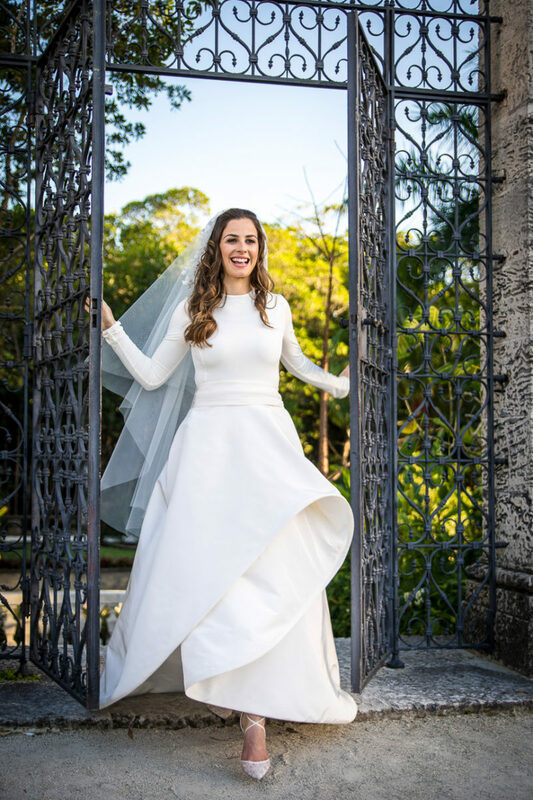 Right after her portraits were done, we took some pictures for the couple followed by wedding ceremony, ketubah signing, and large reception remained until early morning. Excellent live band and DJ Vikas Sapra from NYC made even all Rabbis dance. Well, that wasn’t enough! 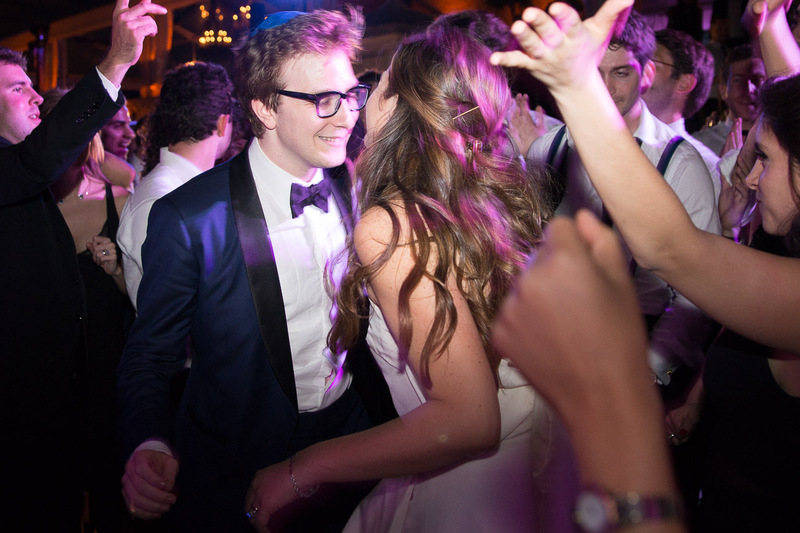 The wedding continued with an afterparty until early morning, held in private club in Brickel. 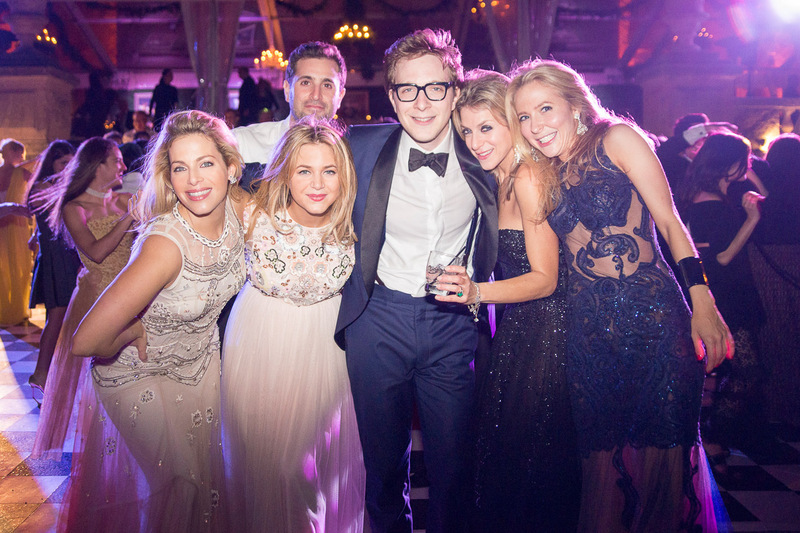 My last picture from this Vizcaya Wedding was taken at 3:47am, and the afterparty just started! If you like our work and want to see more, you have a couple of options. 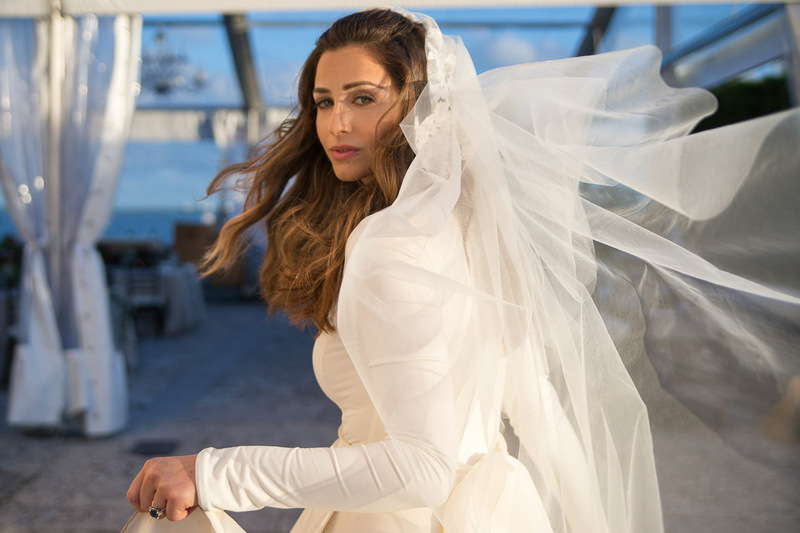 Lara wore such a classic wedding dress! These two had a beautiful wedding day and of course, you captured it perfectly. Thanks for sharing their day! I can see why it’s one of your favorite wedding venues. Yes, they indeed had a beautiful wedding day! Thanks Alicia. Oh my soul, I LOVE her dress! What an amazing day, and that light is so dreamy!! This venue was the perfect place for such a classy wedding. 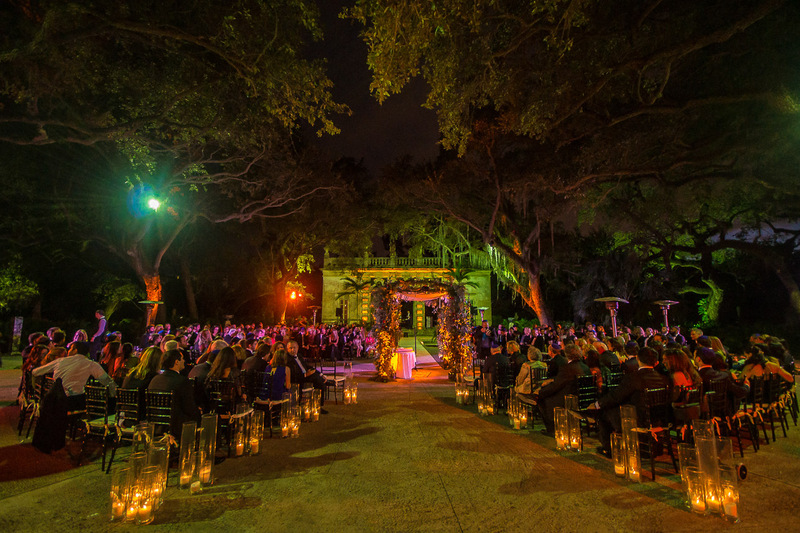 This Vizcaya wedding is indeed classy, thanks Taylor. 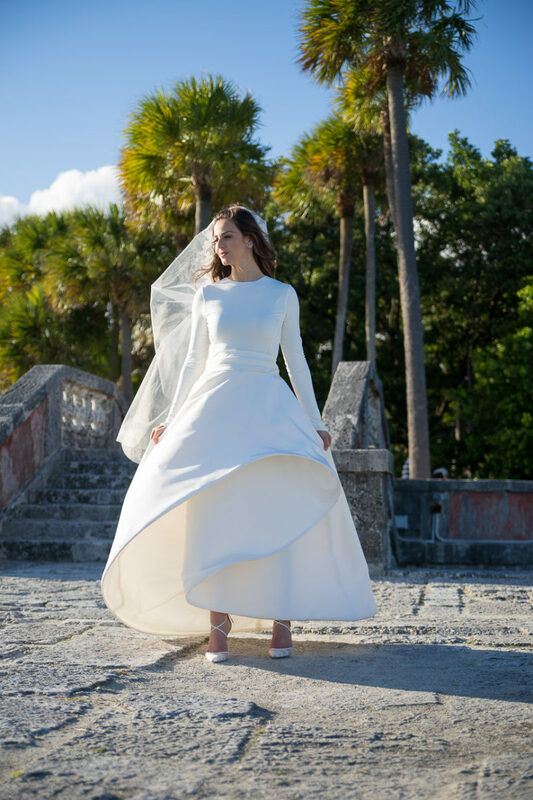 What vibrant and gorgeous Miami wedding photography! I love how you captured the emotions and beauty of this stunning wedding. And the bride’s dress was incredible. Beautiful job! Why thank you. Thanks for dropping by Lindsay. What a dream wedding! I love the table-scape, the flowers, the tones!! And that bride is SO gorgeous!! Amazing wedding photography work, as always! 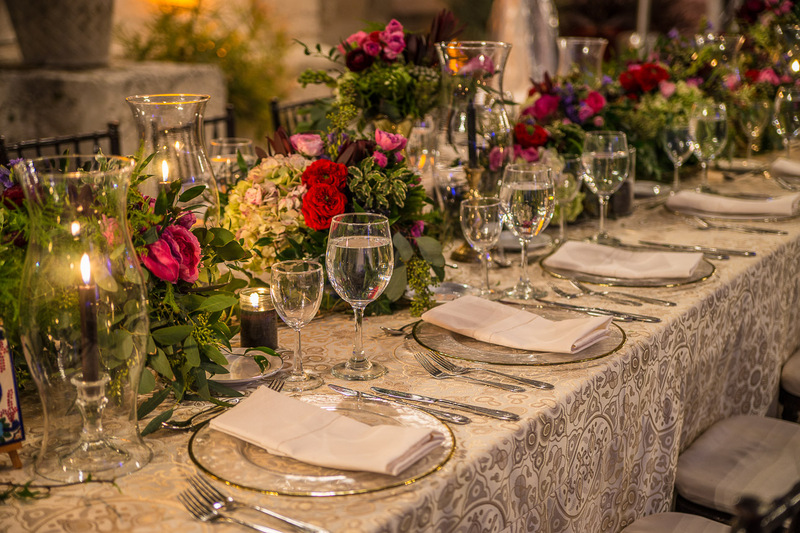 Yes, the table-scape is a crown favorite and I am sure all brides look gorgeous on their special day. Thanks Lindsay. Like always, you captured magic. 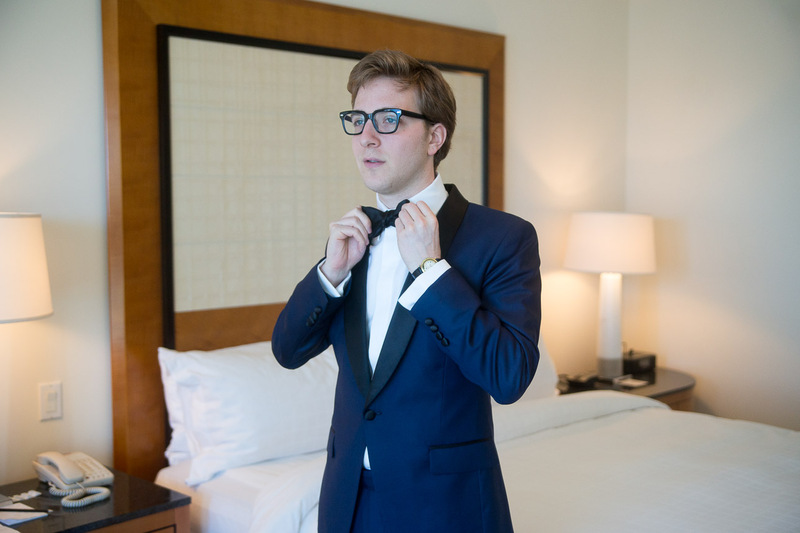 These images are perfection, and any bride would be ecstatic over them! You did such a great job! I am ever so thankful for such nice words. Thanks for dropping by as always Sarah. They have such amazing style and you captured it perfectly! especially on the detail shots– just WOW! To make it memorable for the couple, I have to capture it perfectly! Thanks for dropping by Maggie. GORGEOUS. I mean, truly gorgeous bride. That gown is out of this world! I love all the details, too. Coming from you Mercedes, thanks as always. Thank you as always Chanelle. Have a great week ahead of you. Wow! This looks like such a beautiful wedding. 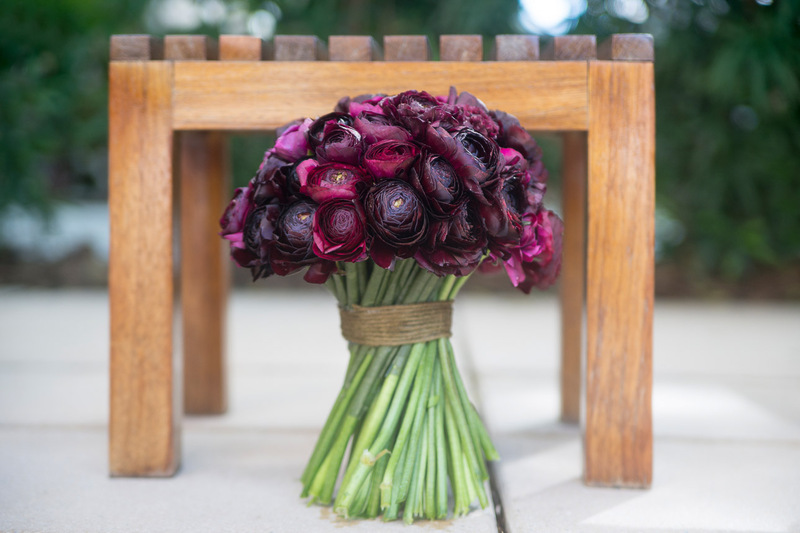 I especially love her bouquet! Wow, I have never seen anything like it. Gorgeous wedding! 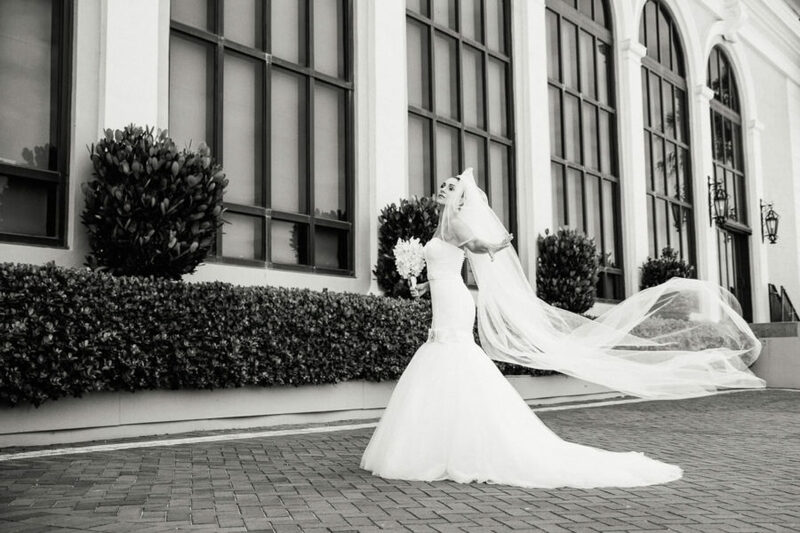 This Vizcaya Wedding is definitely gorgeous. Thanks for agreeing! Glad you liked them, thanks for dropping by. Thank you so much for alway dropping by. That place is absolutely gorgeous! I can definitely see why it’s a great venue! The bride is beauty and you did a fantastic job!! Great work!! Thank you for such nice words Megan. True, the place rocks! The lighting at the reception is seriously breathtaking! And you did an amazing job capturing it! Oh my God! What a lovely dress. Fantastic. Beautiful wedding and beautiful captures. You’ve just made a brilliant work. I like the way you captured those precious moments, especially that one opening the gate. It’s full of life and happiness! Keep up the good work! Thank you so much, comments like these are too precious. Love her dress, it is so modern! Great photos! Awww, still hope your photos were amazing! Wow these pictures are unbelievable! Awesome pics, you did a really good job at capturing the whole day! Thank you so much for your awesome comment Emilio. Beautiful wedding. The pictures are everything and the lighting was spectacular. Thank you for sharing. You are always welcome Karminity, thanks for dropping by too. The pictures are mind blowing! If I ever get married again I would want you guys to be there! lol! What a gorgeous wedding! 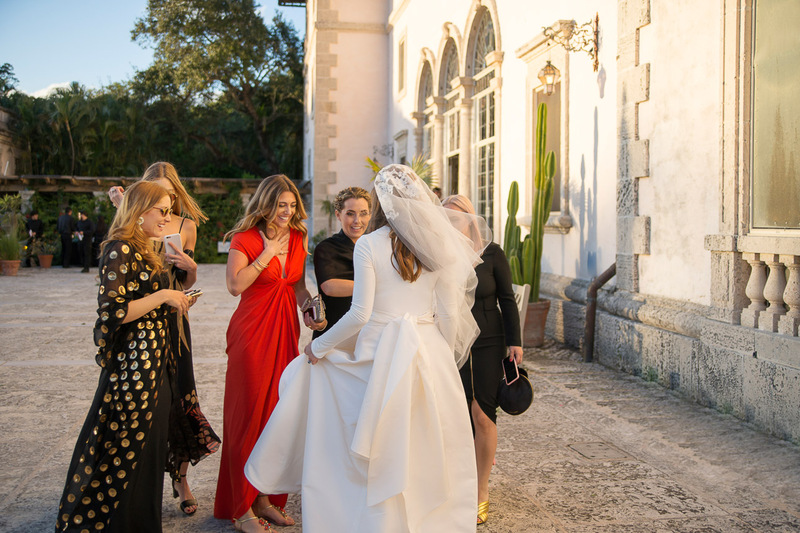 The shape of the bride’s dress is spectacular and you captured it so well. Thank you for such a spectacular comment as well George. I love the design of bride gown so fabulous and beautiful. Great pictures! Gowns are made to make the brides look fabulous. Thanks for dropping by. What a beautiful bride for a lovely dress! Best wishes! I like the bride’s wedding dress. It is something new and unique! I love how it was style. Beautiful photos! They really capture the excitement in the moment. Love it.